That's right, Joseph's Grainery Whole Grains are non-GMO! We don't sell Frankenfood around here. We take great care in selecting the varieties of wheat, barley, lentils and garbanzo beans that we offer - to make sure that you are getting food that you can feel good about feeding your family. What are GMOs and why do I keep hearing about them, you ask? GMO is short for Genetically Modified Organism. GMOs are the source of Genetically Modified Foods - what you're probably hearing about on the nightly news. A GMO is any organism that has been genetically modified, which can include the mutation, insertion or deletion of genes. We go to great lengths to make sure that Joseph's Grainery whole grains are non-GMOs. 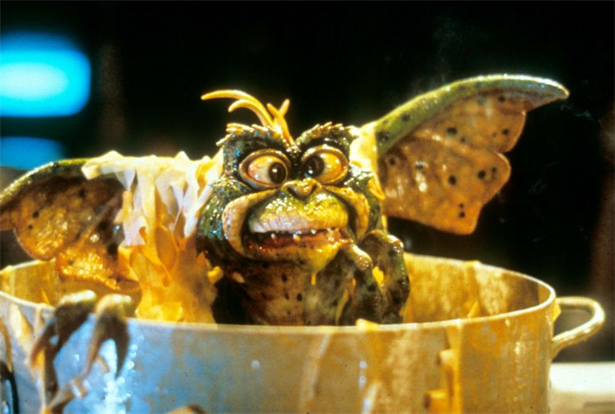 We didn't like the thought of cute, furry little Gizmo mutating into the mean, scary looking Gremlins - and we don't think your food should mutate either. It's what people want. Just another reason to know your farmer...FROM OUR FARM TO YOUR TABLE. As far as we know, neither Gizmo or Warner Brothers uses or endorses our product, although we highly recommend their movie!